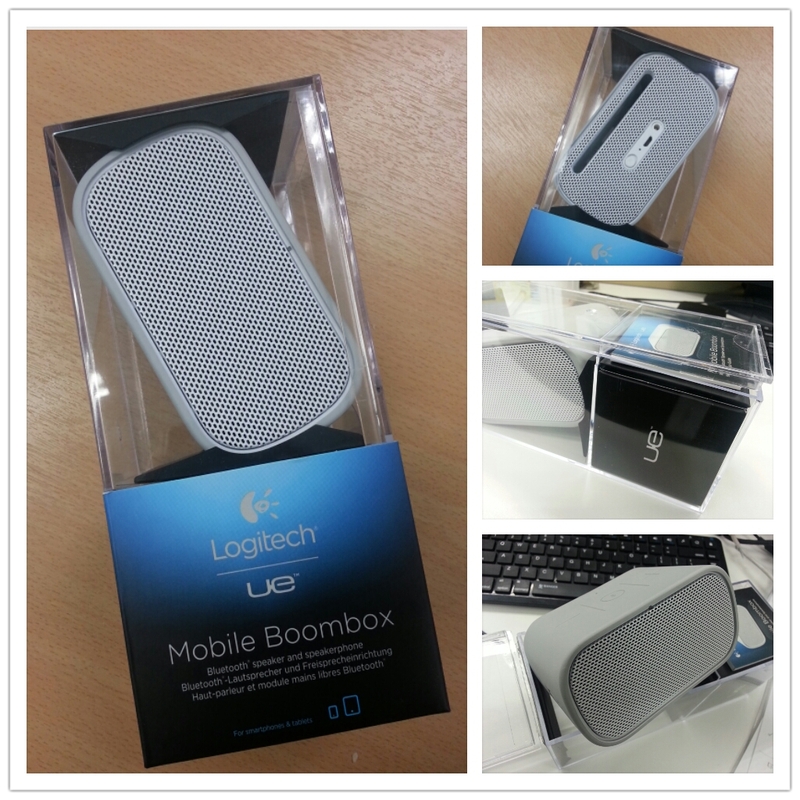 Just received the Logitech UE Mobile Boombox for review. Like the Jabra SOLEMATE, the UE Mobile Boombox comes with a clear thick acrylic plastic package, but unboxing it proves to be a little less friendly than Jabra. Priced at S$149, the Mobile Boombox is branded under the premium Ultimate Ears series, so one would expect the audio quality to sound as good as the brand. I have previously experienced the goodness of the Logitech Mini Boombox which I really love. Will the UE Mobile Boombox beat it? I will share my review over the next few days. Bluetooth wireless: The Logitech UE Mobile Boombox plays music from your Bluetooth-enabled phones or tablets – without a physical connection, providing amazing sounds with wireless freedom. Multi-host Bluetooth: Up to eight Bluetooth-enabled devices can be paired with the speaker – with two connected at the same time. Switching between devices is as easy as pressing pause on one and pressing play on another. Compact size: Your speaker is perfectly portable – toss it in your bag when you’re on the go, then pull it out when you’re ready to play. And with a 10-hour rechargeable battery, your speaker has battery life to match even your longest playlists. UE sound: The Logitech UE Mobile Boombox is designed to give you surprisingly big sound in a portable package. Two full-range drivers produce a carefully honed mid and high range and a passive radiator (or bass pressure driver) rounds out the low end. Contemporary design : The metal grill with molded rubber casing makes this speaker look good. And with multiple colors available, you can find the one that fits your style and your mood. Built-in microphone: Your speaker turns into a hands-free speakerphone so you can enjoy loud-and-clear calls in the office, in the car or in the backyard. It automatically pauses the music when you take a call and starts it again when you hang up.